How bad is the identity theft crisis? In recent studies by Gartner Research and Harris Interactive, seven million people said they’d been victimized. That’s more than 19,000 a day, almost 800 per hour, and 13 every minute. And according to the Identity Theft Resource Center, the average identity theft victim spends 600 hours, $16,000 in lost wages, and $1,400 in out-of-pocket expenses trying to repair the damage. Though there are ways to limit the harm if someone steals your personal information, prevention beats any cure. Here’s how to reduce your vulnerability. Don’t give out personal information. Unless you know the person you’re dealing with, limit the information you provide. If you get a call from a telemarketer or even a government agency, ask for a customer service number and check whether the caller is legitimate. If you are still in doubt, contact your Better Business Bureau. If it’s a company you’ve dealt with before, make sure the caller’s information matches what’s written on past correspondence. Guard your mail. Identity thieves may sort through trash or raid your mailbox to find bank numbers and other personal information. 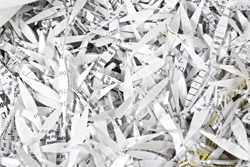 To protect yourself, shred discarded mail. If you’re going to be away, ask the Postal Service (800-275-8777) to hold your mail until you return. And don’t leave outgoing mail in your mailbox; use a secure collection box or take it to the Post Office. Keep track of credit card receipts. Though most merchants limit the amount of personal information printed on receipts, they’re still valuable to identity thieves. So ask store clerks to hand you your receipt rather than sticking it into a bag, where it’s more likely to be misplaced. Know what you have in your wallet. Keep an inventory of the credit cards you carry and make sure you have the numbers written in a safe place. Leave your Social Security card safely at home, and be very careful with health insurance cards, which may also list your Social Security number—the holy grail for identity thieves. Clear your hard drive before you dispose of your computer. Make sure all personal information is non-retrievable before you give away an old computer. If in doubt, remove the hard drive and have it destroyed. Lock up your personal items. At work or the gym, always secure your wallet or purse in a locked drawer or locker. Left unattended for even a minute, these items could give a thief all that's needed to make you the next victim. Routinely check your credit bureau report. If an identity thief uses your credit card number, the transaction should show up on your credit report. So, at least once a year, request a report from each of the three credit reporting agencies: Equifax (800-525-6285 or www.equifax.com); Experian (888-397-3742) or www.experian.com) and TransUnion (800-680-7289) or www.transunion.com). Reviewing these reports regularly could help you catch a thief before the damage is too great. Review all bank and credit card statements. Before you pay your bills and file your statements, check carefully to make sure you recognize all the charges. If you find a discrepancy, report it to your credit card company or bank right away. In most cases, they will work on your behalf to help resolve the problem. Follow Internet safety rules. Your computer and your online transactions are great sources of information for identity thieves. These measures can limit your vulnerability. Purchase virus protection and “ad ware” software. Some viruses can send out information from your computer to a perpetrator. Don’t download files from unknown sources. You might be opening up a window of opportunity for a thief to browse your computer. Use a firewall to block unknown Internet sites from getting access to your files. This may be especially important if your computer is always connected to the Internet. If others have easy access to your computer, avoid automatic log-on features that could enable an unauthorized user to exploit your personal information. Use password options that limit accessibility to personal files, especially those that hold financial information. And avoid passwords that are easy to guess—your mother’s maiden name, for example. Make sure any Internet purchases or financial downloads happen via a secure server. And always take the time to review vendor privacy policies to check whether personal information could be sold or distributed to other parties.